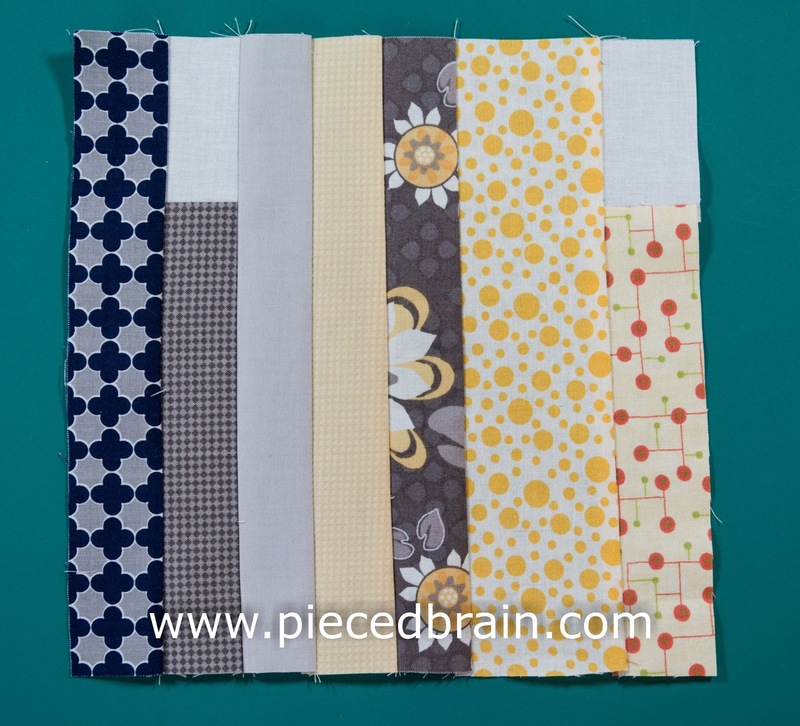 Here is block #18 for our City Girl Sew Along: the Bookstore. The books are on the shelf and, as you can see, you can use scraps from previous blocks as well as a little bit of white for the shorter books. Riley Blake Designs fabrics (Mini Quatrefoil in blue and gray, plus an assortment of yellows and grays) decorate my hardcovers. Get creative, but keep it simple. Stitch the two white rectangles to each of the 6-1/2" rectangles. 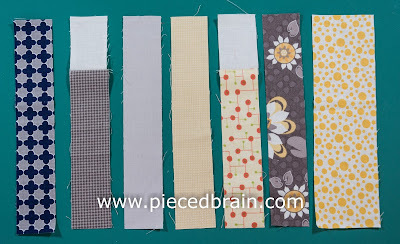 Once you are satisfied with your book arrangement, stitch strips together with a 1/4" seam. 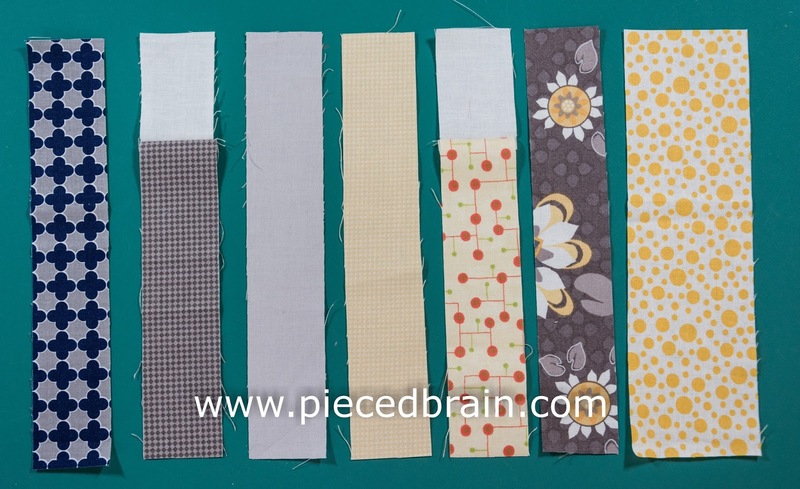 Press seams away from white fabric. How are you doing with your blocks? Send me pictures when you have a chance. Then, come back tomorrow as I will post a tutorial for a cute banner I made a few weeks ago.